Marrakech is a vibrant and colourful beautiful city located on the western side of Morocco. Marrakech is highly regarded for its fantastic scenery, picturesque buildings, and thriving markets. 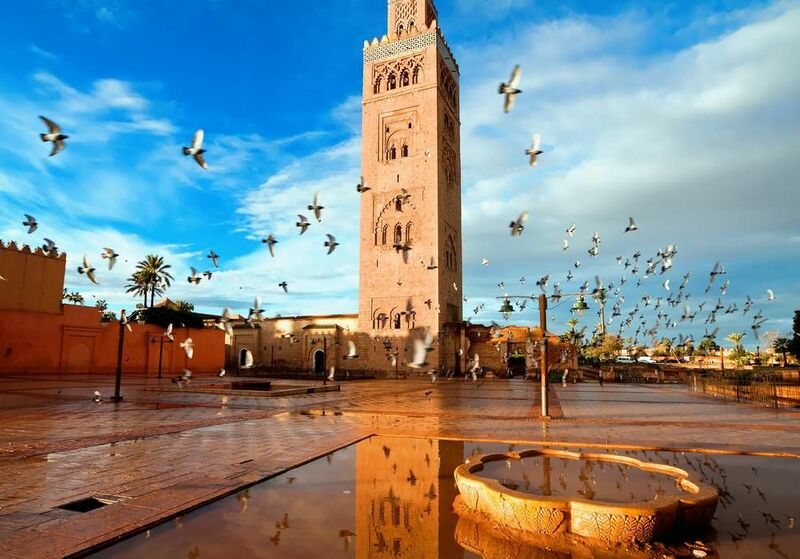 Throughout the city, you can find everything from modern economic centres to medieval structures; however, Marrakech is best known for its rich history and ancient palaces. The Majorelle Garden is a must-see for those visiting Marrakech. Adorned with beautiful and exotic plants, fountains, and even an Islamic Art Museum, this garden offers prime photo opportunities. Souks, the local marketplaces, offers visitors an authentic Moroccan shopping experience. You can purchase items like homemade crafts, jewellery, clothing, and other souvenirs. The history aficionado cannot leave Marrakech without visiting the Marrakech Museum for an insight into Morocco’s history and art. The Badii Palace dates back to the early 1600s, and is open for tours from 9 AM to 4:45 PM daily. Finish the day off by dinning in one of Marrakech’s exotic restaurants and sample the rabbit tagine, a popular local cuisine. If you decide to dine in Morocco, make sure to educate yourself on the country’s unique traditions. For instance, it is impolite to refuse meat if it is offered in a meal, or to handle food with your left hand! What better way is there to see a town than through the eyes of those who live there? Walking tours can give you a unique look into Marrakech’s culture and highlights while maximising the short amount of time you have in Morocco. A truly unique experience, Marrakech by Locals is just what it sounds like. It is a tour given by those who live in the city and have a passion for teaching locals about the attractions. There is the option to take private walking tours for families and friends, or you can join a small group tour with other travellers. This tour has a more cultural and historical focus, visiting iconic sites all over the city and experiencing some of the most popular streets in town. For those who prefer not to tour with other groups, GPS My City offers over ten different walking tour routes, depending on your interests and time constraints. For those who prefer shopping, you can select tours that visit the marketplace areas. For those who are interested in religion, there are tours that highlight religious buildings and structures. This is a great way to see what you want to see without feeling rushed. Below you can find more popular (but not free) activities and tours in Marrakech. Are you from Marrakech and want to be a tour guide? Please get in touch by submitting your details on this page!